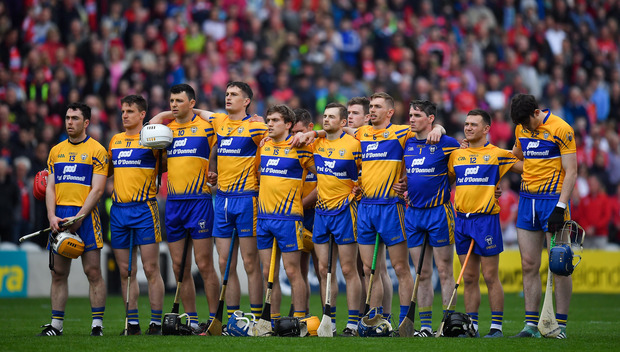 Jamesie O'Connor says Clare are 'maybe two or three players' short of challenging the top teams after the Banner lost their Munster championship opener to Cork on Sunday. Clare lost out in Pairc Ui Chaoimh as Cork made the most of the 11 minutes of injury time to pull away following a very evenly-matched championship clash. A head injury to Cork's Robbie O’Flynn held up the game for over 10 minutes early in the second half, and upon the restart Cork immediately struck through a Conor Lehane goal. Clare made the perfect response as they scored two quick points followed with an excellent goal of their own from Tony Kelly. However, Cork pulled away at the death, with Séamus Harnedy finding the back of the net to put the game beyond the reach of Clare. Speaking on The Throw-In, Independent.ie's GAA podcast, former Clare hurler Jamesie O'Connor said his county badly missed a handful of key players and suggested they could have been less goal-hungry, particularly in the first-half. "I think we're short maybe two or three players," O'Connor said. "Aaron Cunningham is travelling, he's not available, Aron Shanagher did his cruciate. The forward line, if you had those guys for example to come off the bench, or you were springing two of the other lads off the bench, it might make the difference. "We just seem to have the fifteen, sixteen and that's about it. That's going to be I think the problem for us as well, if we do pick up injuries I just don't think we've the same depth that Galway, Kilkenny, Cork certainly seem to have." O'Connor wasn't totally downbeat on the Clare performance, but felt that the tactic to turn down simple opportunities for points to go for goal cost them in the end. "Clare didn't do a whole lot wrong yesterday," he added. "They certainly had chances in the first half where we seemed to be saying 'ok, we're going for goals', and we eschewed probably some easier points opportunities that would have just kept us, particularly early on, maybe two three four points in front, and kept hat scoreboard ticking over." 'There's an aimlessness about the type of ball going in' - What has happened to hurling's most dangerous attack?